Packaging materials, or, in simple terms, the packaging is used to preserve the original appearance and properties of raw materials and products during their transport and storage. The main purpose of packaging is to ensure the preservation of manufactured products, as well as make them compact and easy to move. Plus, the packaging is often acts and advertising medium. It is used for storage and transport of dry bulk materials such as cement, sand, various mixtures, fertilizer, granular plastics and the like. The soft container is usually made of polypropylene or nylon (polyamide) fabric. For better protection against moisture, polypropylene fabric may be laminated and/or contain a plastic insert. The standard size of the soft container is 90×90 cm, height -. 90 cm to 200 cm. 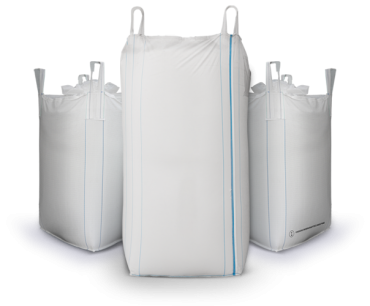 Average Big-Bag capacity is 1000 kg, but the larger bags can withstand up to 3000 kg. The soft container may have one, two or four slings, various options to facilitate the loading and unloading (upper and lower valves, assembly, drop bottom). For loading and transport of raw materials in the soft container it can be installed on the pallet. Also the big bag is convenient to move, when lifting it by slings. The content of the soft container can be easily emptied by unleashing the bottom bag valve or simply cutting the bottom. The type of packaging as the soft container reduces costs for the loading and transport of raw materials and protects the product from moisture. Pallets allow you effectively and carefully store, transport cargo and quickly replaced the old forms of packaging, such as crates, boxes, barrels. The use of pallets in cargo transport allows you to form unitized cargo. Transporting cargo in small containers or in bulk is inconvenient. It increases the time of loading and unloading and during transport movement it is difficult to fix the goods motionless. The goods can break and come into disrepair. At the same time the same amount of the same product packed on a pallet creates unitized cargo which is convenient to manipulate during the movements and securely fasten in the cargo area for safe transport. 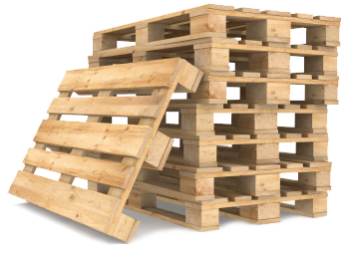 Handling with pallets is carried out much faster. Filling the container or unloading cargo without them requires the involvement of a plurality of movers. To work with palletized load needs only one forklift and one worker. Degree of protection when transporting cargo on pallets is considerably higher. Cargo is located within the borders of the pallet and with reliable and tight strapping it does not disintegrate or deform. Access to the goods on pallets is significantly impeded. It is an additional guarantee of its security. Material, which is a kind of paper and differing from it with a larger paper mass on the square of the square. Cardboard is produced on cardboard machines. 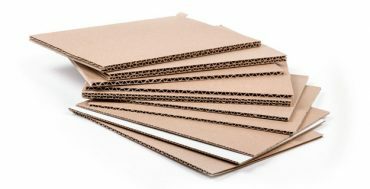 The technology of cardboard production is paper-based and includes the following basic operations: grinding of pulp, cellulose and waste paper; low tide; pressing and drying. Single-ply and multi-ply cartons are produced from the milled pulp. For the inner layers, cheaper compositions containing fibrous materials, waste paper and some pulp are usually used; for the outer layers there is sulfate cellulose.